ELLIOT’S HORSE [a.k.a. INDEPENDENT FRONTIERSMEN SQUADRON in the BELFAST WEEKLY TELEGRAPH December 1917 cross referenced with THE DAILY COLONIST, Victoria BC, 08 Nov 1936]. Eighty-three men formed by Victoria BC Legion of Frontiersmen [LOF] Command arrive overseas prior to the Canadian Army. They appear to have been informally slated to join 2 nd King Edward’s Horse, but did not as they generally preferred Canadian units. A number of these LOF did enroll into Royal Canadian Dragoons, possibly Lord Strathcona’s Horse as well and others went into British units. Uniform details, background and context of find indicate this photo to be of Calgary Legion of Frontiersmen c1912. VICTORIA VOLUNTEER MOUNTED RIFLES, a Victoria BC association led by John Briant Howes enrolled 08 October 1915 into the Victoria BC Command of the Legion of Frontiersmen. UNITED FARMERS OF ALBERTA MOUNTED INFANTRY CORPS, roll into the LOF’s home guard becoming the politically acceptable EDMONTON BATTALION OF RESERVE MILITIA. BRITISH COLONIAL HORSE, LOF formation became 5 Platoon, 3rd BELGIUM LANCERS engaging in action early WW1. Frontiersmen involved would later receive Belgium’s Yser Medal. REMOUNT SERVICE, LOF newly arrived in England were initially placed breaking horses while the LOF HQ was attempting to form a named unit. METROPOLITAN POLICE MOUNTED RESERVE, LOF served City of London throughout the First World War. EAST AFRICAN MOUNTED RIFLES, LOF form one of the six squadrons for Imperial defence in British East Africa. OTAGO MOUNTED RIFLES, New Zealand LOF squadron rode into camp to enlist in OMR. 2nd KING EDWARD’S HORSE, 60 LOF were eventually recruited from Remounts duty where they were awaiting other placement. ….. and possibly other bodies. © Barry William Shandro & Geoffrey A. Pocock, September 2017. All rights reserved. This article may not be reproduced in any form, in part or in full, without prior permission. 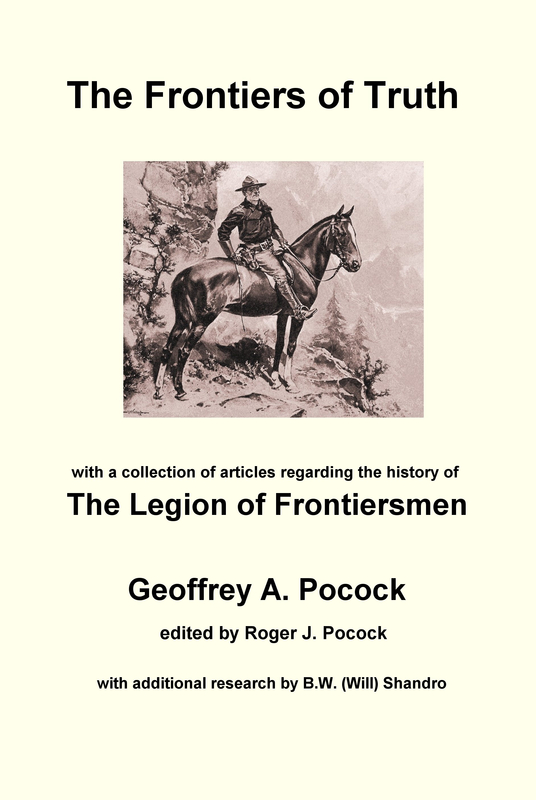 This entry was posted in Canada, Frontiersmen, History, Legion of Frontiersmen, Surprising Snippets. Bookmark the permalink.